We have full spoilers for the January 2019 Your Bijoux Box! 2 earrings in 1! Delicate studs or trendy jackets, you’ll grab these for daily and nightly use. A Your Bijoux Box exclusive. earrings only. The layered look with the tangle! Little teardrop sparklers in a rhodium silver finish. A Your Bijoux Box exclusive. Silver snowflake slider bracelet. A minimalist take on a sparkly snowflake. Ease of wear in jewelry is something we love. Slider bracelets are the perfect example of this. Crown Pen and Purse Pad. A beautiful way to keep track of your New Year’s resolutions by the artists of Santa Barbara Studios. Your Bijoux Box is $39.99 a month. If you are thinking about subscribing to Your Bijoux Box – use coupon code WELCOME to get a bonus piece of jewelry with your first box. 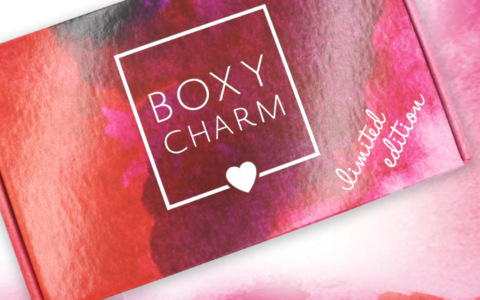 Check out our my Bijoux Box reviews to see what you can expect with this subscription box! How do subscribers rate Your Bijoux Box? Do you subscribe to Your Bijoux Box? Add your rating now! I received this yesterday and the necklace is so short, it chokes me. I’m bummed about that. Thank you! I was about to take the plunge and buy this, but I was worried about that. Do you think it would work if the two shorter layers were removed? Same here! The layered look is great but in this case it make the entire necklace too short. I was most excited about the necklace but I agree with you regarding the length (felt like i was choking in it) and moreover shoddy craftsmanship. the two smallest chains were strung incorrectly so they’re twisted together and cannot be untwisted. I’m considering heading to Michaels to pick up some jewlery tweeser/cutters to snip those chains off. The surprise winner for me was the bracelet. I thought i would hate it but it fits wonderfully, is easy to take on and off, and look smashing. I like the silver this month. All of the pieces were pretty and work well together. They do have great bonuses. They did a bracelet and necklace with that same snowflake/starburst pattern a few years ago. That bracelet was very difficult to put on. This one looks a lot easier to wear. I agree With a previous poster. I bagan To enjoy the extras more than the jewelry pieces and cancellled for that reason. My box arrived yesterday and I was very pleasantly surprised. The necklace reminds me a little of the Dannijo necklace from the Fall 2017 PSLE box. I wore the bracelet out last night and it was very comfortable. And the pen isn’t just pretty, it actually has nice ink flow and isn’t as top heavy as it looks. For the past 2 boxes the “extras” were my favorite items in the box. I’m would have been so happy about the notebook and pen if they hadn’t put all those awesome beauty products in the picture and gotten meh hopes up!! Anyway still a great box, this might be my favorite sub. I so agree, I would have resigned if everything in that picture were going to be in the box. Tasu Box April 2019 Spoiler #3 + Coupon!